O (Observation): Jesus has shown his disciples that serving others (like washing feet) is something a servant-leader does; this is what love looks like. A true leader will be willing not only to get dirty to help out a loved one, but would even sacrifice one’s self for a loved one. Sacrificial service to one another is what Jesus puts forth as the standard, as a command established and to be lived out, even to the point of death, if necessary. A (Application): Love one another. So simple, and yet so hard. The hardest part about loving someone is the risk that they may not send love back to you, in return. 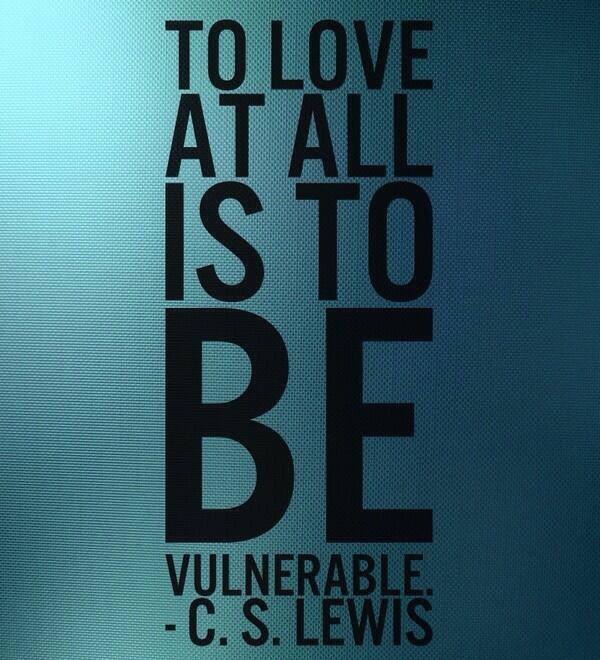 Loving someone requires that you become vulnerable. But we like to be very guarded. 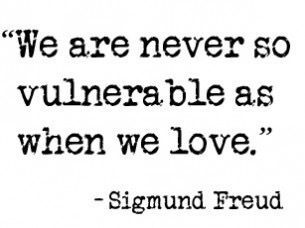 If we become vulnerable and let down our guard, we could get hurt. And we don’t want to hurt. 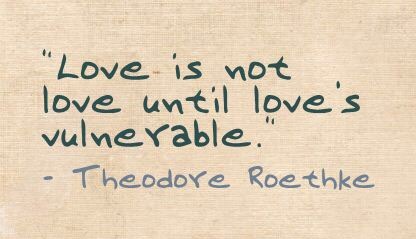 So, we resolve to love fewer and fewer people, so we have less of a chance of getting hurt. Maybe Shakespeare can help? “Tis better to have loved and lost, than never to have loved at all”??? Present-day Christendom really lives as if the situation were as follows: Christ is the great hero and benefactor who has once and for all secured salvation for us; now we must merely be happy and delighted with the innocent goods of earthly life and leave the rest to Him. But Christ is essentially the exemplar, that is we are to resemble Him, not mere profit from Him. Let us be about the work of resembling Christ. P (Prayer): Lord, you talk about love, you show us love, you embody love, you are love. Help us not to take you for granted, but establish your love on earth. Use us as vessels of faith, hope, and love. Amen. This entry was posted in Digging Daily and tagged Christ, Kierkegaard, Love, Servant. Bookmark the permalink.